Have you looked at the scholarships PUC offers yet? I encourage you to take a look at PUC and what we can offer you—it might surprise you! For example, did you know each year, we award over $30 million dollars in financial aid to our students? That’s a lot of money! 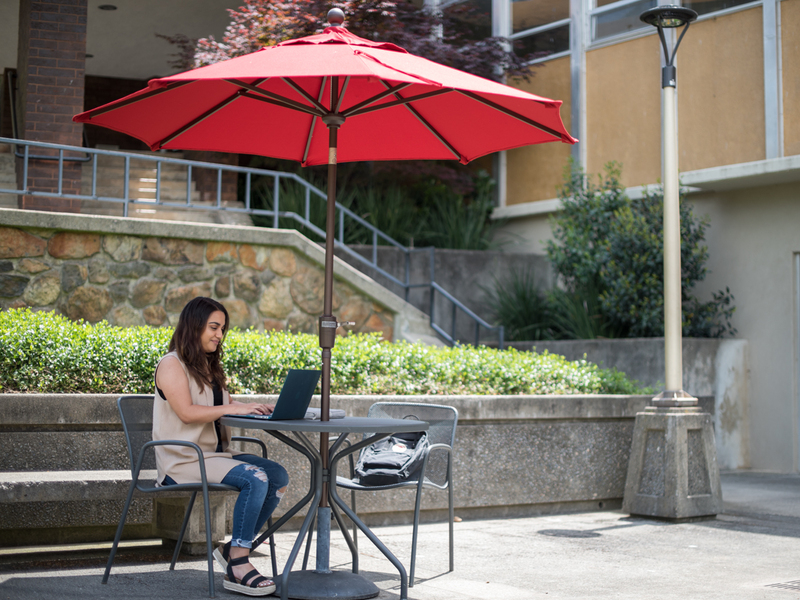 When you look at the costs for college, it’s important to keep in mind 100 percent of PUC students receive one or more forms of financial aid. Don’t feel discouraged by the sticker price! We are committed to working together with you and your family to make a high-quality Adventist college experience possible to help you on your journey to reach your academic goals and dreams, whether it’s through scholarships, grants, or helping you understand the loan options available to you. When taken wisely, loans are a helpful resource that enables students to access a great education, complete a degree, and enter the workforce prepared for their career. Did you know on average, students with bachelor’s degrees earn over $1 million more in their lifetime than those with only high school diplomas? College is absolutely a worthwhile investment! On the scholarship topic, PUC offers scholarships based on a variety of factors, including leadership, participation in music groups or athletic programs, and of course high GPA and high test scores. There are also scholarships available depending on your program of study, like the Adventist Mission Scholarship, available to theology and education majors. Visit puc.edu/scholarships to see all available scholarships. In particular, I want to highlight PUC’s merit scholarships, awarded through the President’s, Dean’s, Trustee’s, and Founder’s scholarships, which are based on unweighted cumulative GPA and test scores and are automatically given to students who meet the necessary criteria. For high-achieving students, PUC offers the prestigious Maxwell Scholarship, worth up to a whopping $116,000. That’s no joke! Students meeting qualifications receive full tuition based on their unweighted cumulative GPA and test scores; requirements are a 3.9-4.0 GPA and a 34+ ACT or 1500+ SAT. There are also several other PUC scholarships worth checking out, like the Legacy Scholarship for students whose parents attended PUC, and the Mostert Leadership Scholarship, which recognizes students for selected leadership roles held during their junior and/or senior years. Visit puc.edu/scholarships to see all available scholarships. If you have questions about what you might qualify for, don’t hesitate to reach out to our team of financial aid counselors, who can give you a financial aid estimate that shows what it might cost for you to attend PUC. It’s really helpful! Call (800) 862-7080, option 1 or email studentfinance@puc.edu to talk with a counselor now.